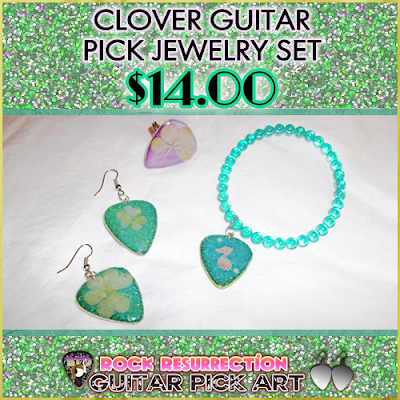 Clover Guitar Pick Jewelry Set! Lucky four leaf clover (yes it is real) guitar pick ring with matching clover green guitar pick earrings & bracelet! Ring is made from DVD material and the other items are made from repurposed materials.